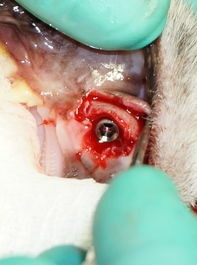 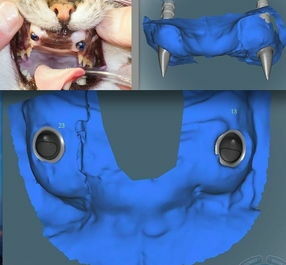 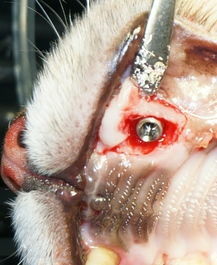 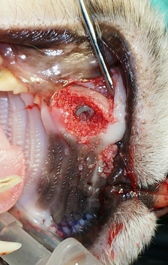 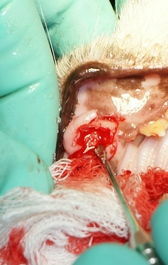 Bilateral Maxillary Immediate Implant Placement in the Feline. 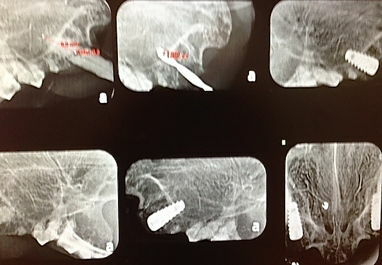 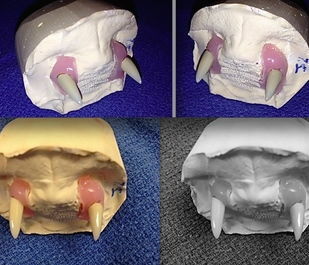 Maxillary cuspids were extracted due to Crown Fracture of the L Max and Extrusion and Osteitis of the R Max Canines 2 ( 4X8mm ) crestal OCO Biomedical Implants were placed w gap grafting, membrane, and primary closure. 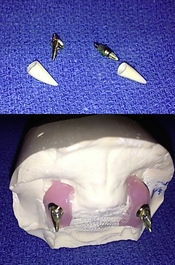 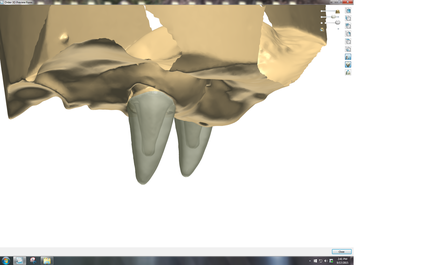 Impressions and Digital Restoration in Approximately 5 Months.